Brian Kirkby flowers comes with a wealth of experience and a reputation for unrivalled quality we strive to provide beautifully designed and crafted flowers in and around Wimbledon, London and Surrey. Creating beautiful flower arrangements all over the world for over 15 years and counting. 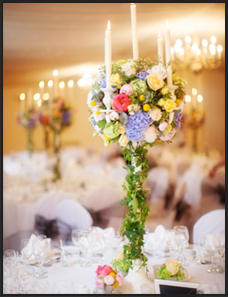 Brian and his team of fully trained and experienced florists are dedicated to providing outstanding arrangements for all occasions including weddings, civil partnerships and events. Take a look at our inspirational website to find beautiful ideas for gifts, weddings, events or ideas for adding flowers to your home. We hope you love our work as much as we do!